This art has existed for thousands of years as it was practiced by the ancient Egyptians. It is the study of beauty treatment and its application is known as Cosmetology. There are different branches of it which consist of hairstyling, skin care, cosmetics, manicures/ pedicures, permanent and non-permanent hair removal processes such as electrology (It is the process of removal of hairs using electricity) and intense pulsed light (It is a tech used to perform various skin treatments for aesthetic and therapeutic processes). There is different Cosmetology specialty like cosmetologist, hair coloring technician, shampooing technician, Aesthetician. Cosmetologist are the licensed person and trained to perform cosmetic treatments to hair, skin and nails. It includes many parts including hair treatment (cutting, removal, chemical treatment, fashion trend, hair analysis), relaxation technique, basic massage and aroma therapies, ability to expertly apply makeup. The aim is to achieve the customer desired look by applying the advance knowledge and training from the cosmetology course completed. Hair color specialists modify the natural color of the customers using various products from professional manufacturing companies. They are certified from different institutes depending upon the practical and theoretical examinations. The talent is not limited to the coloring hairs, they also can give special effect and highlights using foiling techniques. The shampooing technician plays a main role and it’s a first step of hair styling, it works as a base to reach the client satisfying hair style. Aestheticians are the experts in maintaining and improving skin. They are also specialized in treatments such as microdermabrasion, cosmetic electrotherapy treatments (galvanic current, high frequency), microcurrent (known as non-surgical “face lifts”), ultrasound/ultrasonic (low level), LED (light emitting diode) treatments, and mechanical massage (vacuum and vibratory). The aesthetician undergoes special training and must complete several trainings successfully to pass in both theory and practical exams to become licensed for treatments such as laser hair removal, permanent makeup application, light chemical peels, eyelash extensions, and electrology. 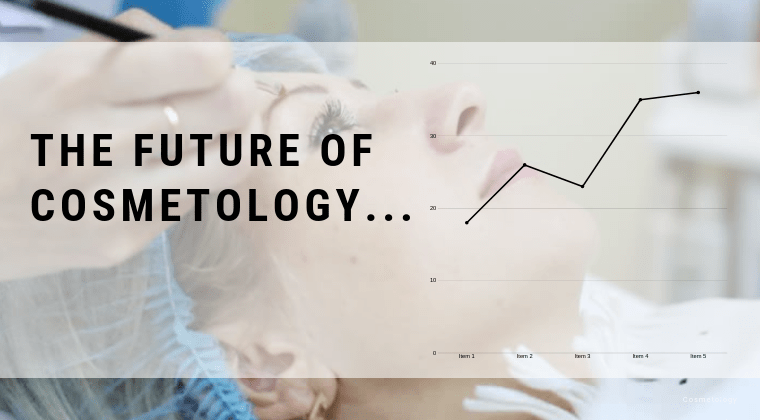 The future of Cosmetology- According to the US Bureau of Labor and Statistics, the job outlook for Barbers, Hairstylists, and Cosmetologists has grown at a rate of 10% between 2016-2026. 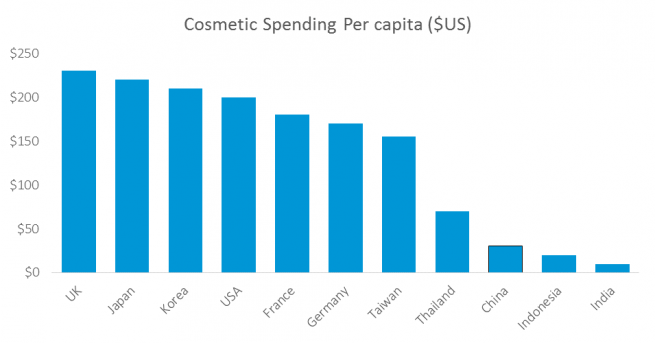 Europe being the largest Cosmetic Market in the world has its competitor Cosmetic Market in Asia- Pacific which will have a share of $ 126.8 billion by 2020. Being a most dynamic and diverse industry across the world and registering a Compound annual growth rate (CAGR)of 4.02% during the 2015- 2020. According to collected data by Dadex’s Worldometer, Asia Pacific comprises 4.5 billion people, 60% of the global population. The home of the most important beauty markets as well as dynamic markets with strong regional identities and market realities in the world—China, Japan and Korea, including the Philippines and Vietnam. Many cosmetic conferences, aesthetics conference, dermatology conferences or world cosmetic and dermatology conferences are being held every year in the Asian Countries for the growth and expansion in the skin care industry. Such medical conferences aim to provide CPD or CME accreditation to its participation for their growth in the field of dermatology study, skin care study or aesthetics study. Abstracts are being submitted by world leaders in the field of dermatology for sharing their research work in the international dermatology conferences. ← Did You Know This About Plastic Surgery and Aesthetics ?